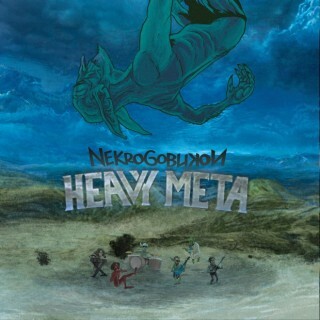 Nekrogoblikon : Heavy Meta album download | Has it Leaked? Nekrogoblikon is a weird band, who just released a weird song titled "Full Body Xplosion." If you're a fan of fun power metal-type souding stuff, then check this out. If you really hate bands like Attila and whatever else is popular with kids who have swoopy haircuts, then you definitely need to check this out. It's essentially everything those scenes have ever done, but in a really cheesy way that absolutely rules. Think of it as your guiltiest non-guily pleasure… but also kinda guilty a little bit.